Whatever strain of cannabis you are using, it takes a special set of skills to produce the maximum rosin yield. Here are some rosin extraction tips you can use. Setting up a competitive business makes for some tough decisions. Especially a dispensary in a booming market. With so many others cropping up at the same time, how do you set your self apart? Like in most business endeavors, the better mousetrap prevails. In this case, quality items that cater to the customers’ needs. Rosin extraction has become very popular in the past several years. The benefits and praises of this new process have gotten a lot of attention. Producing quality rosin in-house makes a strong revenue stream. 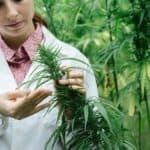 Learning more about the process and how to customize and maximize yields will benefit any dispensary, new or old. 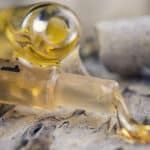 By now you should know the simple recipe for making your own rosin, otherwise, why would you be reading an article about better techniques? But for those that saw the headline and want to get started and boost their yields at the same time, we’ll toss out the basics. Take a hair straightener, turn it to a low setting between 180-220 F.
Place your product in the center of a piece of parchment paper, fold the paper over. Place the parchment paper between the plates of the hair straightener. From here you apply heat for a few seconds. Open up the straightener, remove the parchment, remove the product for a possible second press (depending) and then remove the rosin from the parchment paper. Now, if you want to maximize your yield and create better rosin, you will need to add some steps, some techniques, and some equipment. 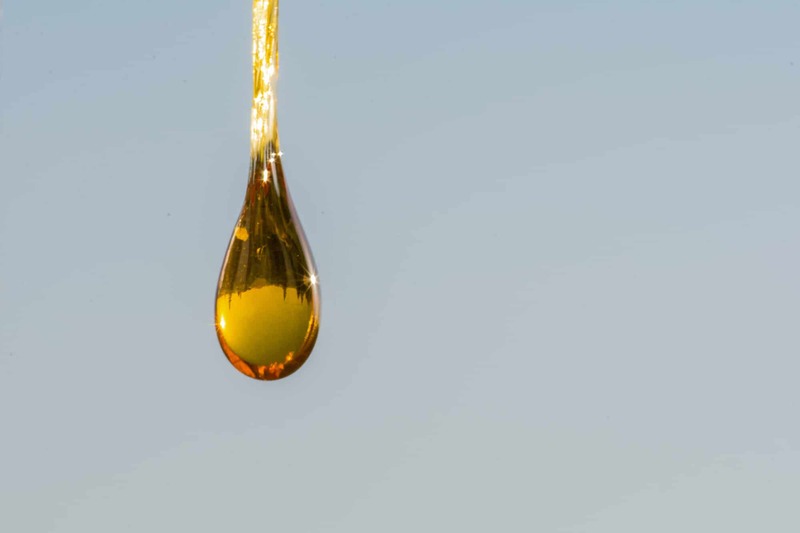 The following tips help create better rosin extraction yields, both in terms of quality and amount. 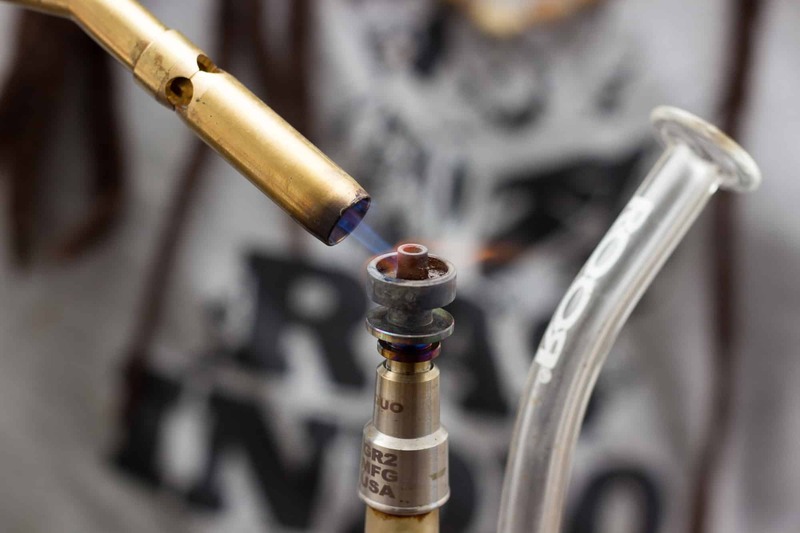 The first step in creating a better rosin extraction process is temperature control. Most commercial hair straighteners have temperature abnormalities along the plates. They will get hotter in one place over another and the thermostats are commonly off by upwards of 10 degrees. These are harsh problems to face when trying to make a precise extraction. Using an infrared temp gun gives a precise reading so adjustments in placement, pressure, and temp can be made to achieve that choice yield. Where a controlled temp can succeed, a low pressure can fail. Weights and general hand pressure both ha e issues with controlling the pressure even for the few seconds needed. Investing in clamps gives a greater sense of control to your pressure. Once the temperature gets dialed-in, the pressure can be better adjusted with precise turns fo clamps. This not only gives a more precise result, but the result can be replicated over many batches. Combining the benefits of both clamps and a temp gun, a rosin press upgrades rosin extraction from amateur to professional. Pressure settings and heat settings can be manipulated via a control panel. The device can hold more product in a level space which can be anchored to a table. Some models sport timers and even heating cycles, allowing for a change in temp during the process automatically. Obviously, a rosin press constitutes a bigger investment than the DIY style of the basic extraction, but you came here looking for better. 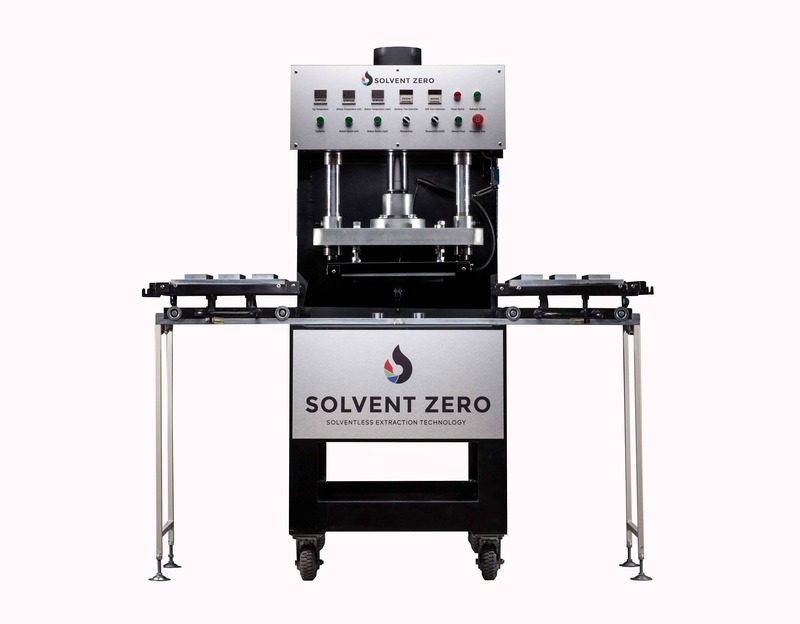 Recently a large number of different rosin presses have hit the market. They may be electronic, hydraulic, level press, or even spin down. Each has its own pros and cons which reflects in the price. Look for something within your range that fits your needs. Removing unwanted contaminants and residue helps create a quality yield. Most rosin extraction utilizes parchment paper because it is resistant to heat and keeps the rosin together for collection. Additional screens and filters boost the quality, but they add two extra elements to the process. The first is a change in the temperature to directly affect the product. Any time you put another layer into the process, you are changing the heat and pressure variables a bit. The second factor comes from finding the right size screen. While a 24u micron screen does the job most of the time, other sizes may provide a better mixture. If you have treated product removing all of the residues may take away something you would rather keep in. The best rosin extraction comes from frozen product. Partially this helps with preserving flower and the trichomes from break down. This preserves the quality and amount of the terpenes. Ideally, freshly trimmed cannabis should be frozen after collection without drying, then within a 24-36 hour range should be extracted. Even if cannabis comes pre-dried, freezing before extraction will help prevent certain components which are water soluble from entering. You know that every strain comes with its own unique qualities. So it shouldn’t be surprising that rosin extraction also changes with each strain. Developing a solid range of techniques maximizes your workflow so it recommended keeping notes to aid in making a standard extraction. 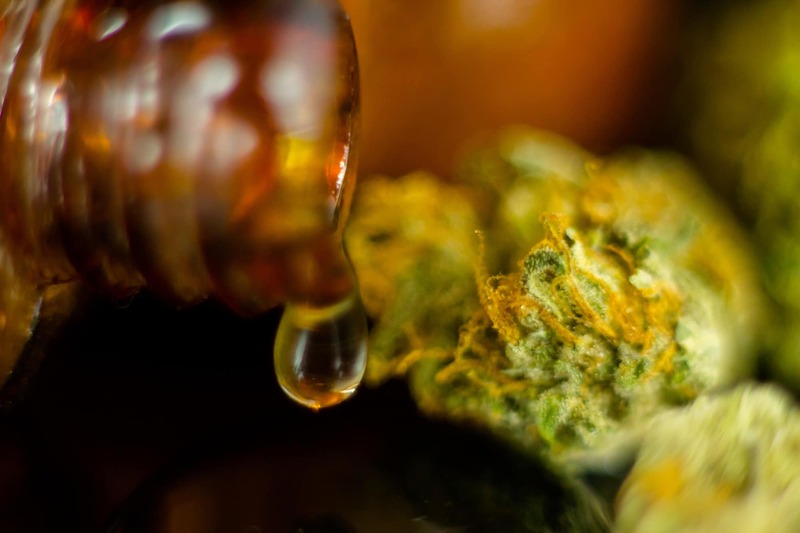 Keeping specific notes while working with each strain will help you to create your own in-house recipes and processes which will give you not only a better quality rosin but also make house blends which help in marketability. 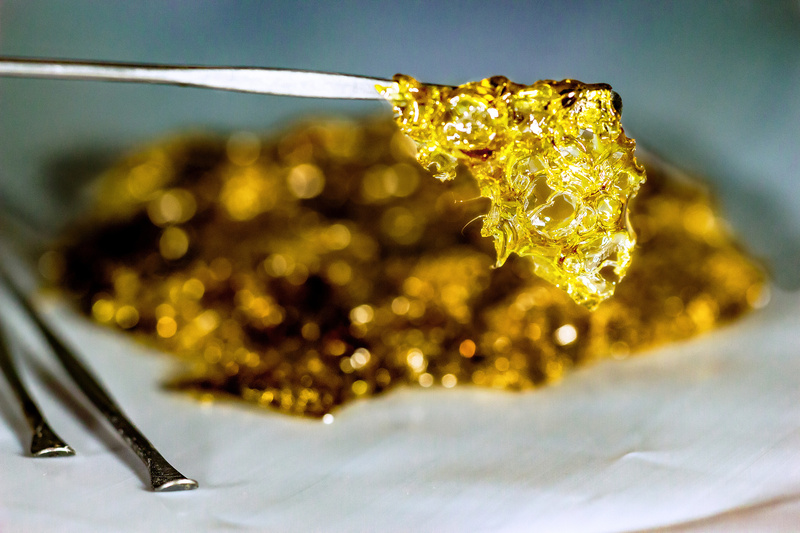 Offering different levels of extraction, in the forms of dabs, crumbles, shatter and others helps customers in getting the experience they are looking for. Rather than starting with flower, bud, or nuggs, grinding down to kief first, then running a rosin extraction will give a different result. Temperature and pressure will definitely change when working with kief, so start over on any preconceptions when working with kief. Kief provides a higher yield which will also be higher in THC/CBD (depending on the strain). Obviously, a kief based extraction will add more steps to the overall process, but it is about the results. Now that you have the basics down, and a taste for the advanced techniques, keep your business flourishing with investments in new techniques and equipment. We offer competitive rates on rosin presses and also give updated information on the industry. Follow us for more goodies and frequent updates.